California Insurance specializes in providing contractors general liability insurance for as low as 500.00 per year and other coverages vital to contractors including builders risk insurance, commercial auto coverage, and insurance for tools and equipment. Contractors Insurance can be very confusing at times, so we are here to assist you through the process of selecting the right coverage from the right company. We have many companies to find you the best possible coverage at an affordable price. We have many years in the Construction insurance industry to evaluate your risk and solve the coverage needs of your construction company. Rate, Quote and Bind within an 15 mins. GC's, Remodelers, Electricians, Home Builders, Drywall, Painters, HVAC, Flat Concrete and Many More! 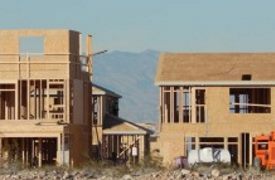 California Contractor Program now allows service and repair work in condominiums, townhomes and HOA’s. This program also accepts B licensed remodelers, including structural remodelers, artisan contractors performing new residential work in custom homes and now offers limits from $300,000/$300,000/$300,000 to $1,000,000/$2,000,000/$2,000,000 for all risks. California Insurance offers small commercial miscellaneous surety bonds to public and private companies across a diverse group of industries.